Children come when they wish beginning a lifelong schooling of a parent in the truth that after procreating your life is not your own. Our little Tigerlily came on the 31st of July--happy, healthy and surprisingly big (considering). Congratulations! Welcome to Tigerlily! Let the feasting begin. Nice cheesecakes, too. I was also wondering what's rusks. The mini cheesecakes look really cute! Those are looking so yummy!! Rusks are commercial toasts. I just updated the post to put a link to the wiki definition. These are simply delightful! I love the mini portions too since cheesecake can be too filling. Congratulations on the new addition to your family! How wonderful! 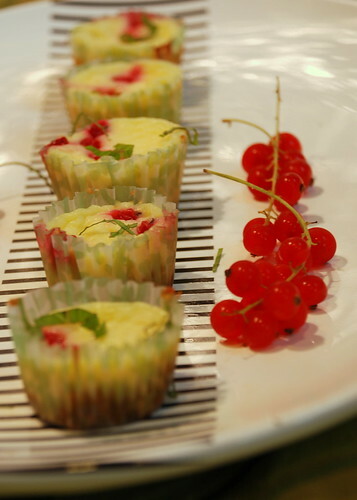 These cheesecakes are just scrumptious with the fresh currants. And so beautiful! I'm so glad, for you,, that nausea is gone. Those mini cheesecakes are so cute. And you did amazing pics. I love these. I don't really like currants, but these look beautiful and scrumptious (you take great photos, btw!). p.s. Maybe I'm one of the few that know rusks. We grew up on them (in the UK). Good stuff! How cute. I never knew what rusk was. I have always wanted to cook with red currants..haven't gotten there yet. Are those what dried currants are made from? These mini-cheesecakes are gorgeous! I would love the red currant flavor! Congratulations! Enjoy the gluttony. These cheesecakes look delicious. Pretty, pretty, pretty. I am so happy that you're feeling better. Your children are lucky you love them enough to put up with pregnancy . . . These are quite a yummy dessert to celebrate end of nausea with! Their beautiful. Now you have to add some baby feet to your pic! Congratulation Maybelle's (and Tigerlily's) Mom! This mini cheesecake idea is definitely something I'm gonna check out. 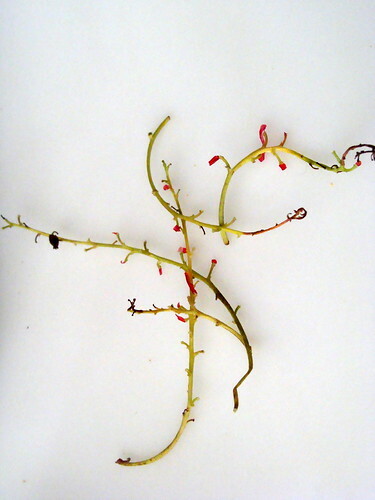 And by the way, how photogenic are red currants! Congratulations on the new addition to your family and to finally losing the nausea. 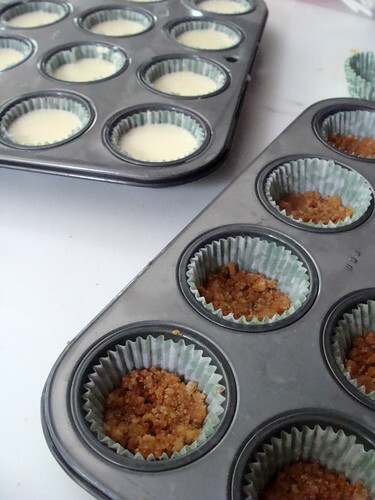 What a great idea to freeze mini cheesecakes! And I love the idea of the brilliant contrast of sweet and sour with red currants dropped in directly. These little cheesecakes look so yummie! Great pictures as well. Oh how "purty!" I am especially intrigued by the "splash" of anise flavoring. Baby cheesecakes to celebrate baby days. Thanks for sharing these delightful bites. Wow! We have piles of red currants around - and this is a very nice way to use them! Did you have problems peeling the paper off the cheesecake? I guess, once could eat the cheesecake off the liners. Welcome Little Tigerlily!! Congrats and all happiness to the whole family. I love the cheesecake and I am so, so excited for you! All Blessings! Lots of love from this part of the world dear friend! Oh you had the baby! Great news. Glad to hear you and the baby are doing well and that you are on the mend.I habe dooing mini chese cakes like these and love portions. They always go over well at parties. I have been so out of the loop, but I wanted to drop by and say HELLO to the new little cutie and CONGRATS! :) Yay for being able to enjoy yummy food like this again! Congrats! !These are just gorgeous.Love the use of red currants...great flavour MM. The cheesecakes look wonderful! I have to try the currant/anise combination.